NHE/OV PTA is seeking enthusiastic and dedicated parent volunteers to serve as elected officers for the 2014-2015 school year. Do you want to become more involved in your child’s school and their education? Do you want to make a difference in the enrichment of the lives of all families at NHE/OV? Do want to work with other amazing parents with similar interests? 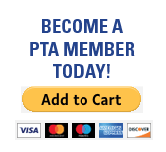 Serving as a PTA officer is rewarding and valuable… children are more successful when their parents and community are involved in their school! Tomorrow night (4/1) we will be having elections/voting of nominees, nominations will aslo be taken from the floor.